In this powerful and potent space magic truly happens. The intention of a Sister Circle is to celebrate our strengths and to share our stories. There will be laughter and tears and a never ending flow of kindness and support. You will feel connected, empowered and inspired. 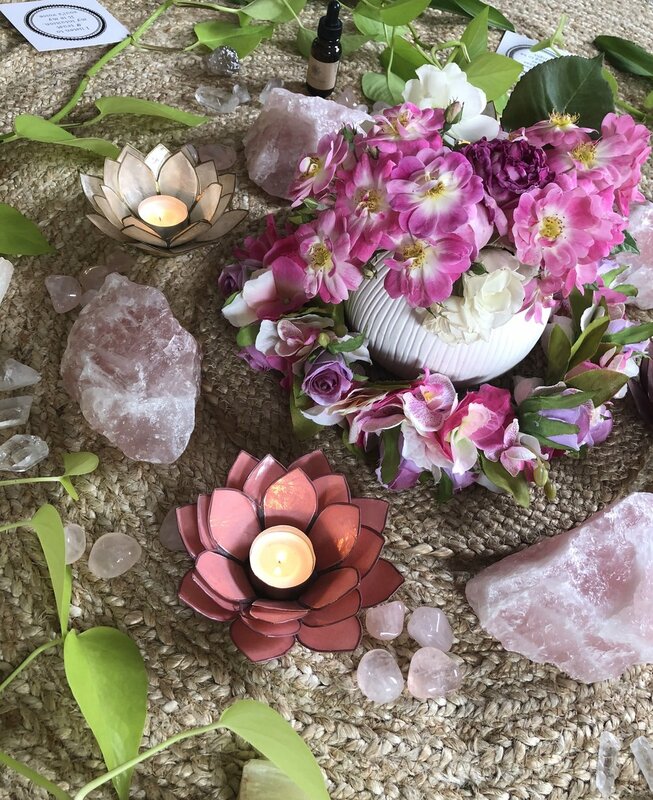 Creating this space brings back the ancient practice of sitting in Circle and offers us the opportunity to reconnect with one another to open up our hearts and share our wisdom. In celebrating the Celtic Wheel High Holy Days, using specific flower essences for support, we honour our deep connection To Mother Earth and her changing cycles and seasons. At other times I will offer a Shamanic drum journey alongside specific flower essences. In these Circles the journeying offers us insights and deepens our connection to the seen and unseen realms that exist within and around us. We are held in a safe place by her, and then offered support and guidance to spiral deeply inwards. The Sister Circle is a space to feel heard and supported... To come to know ourselves better through the sharing of experience and wisdom. Jo is an open and generous facilitator who holds the group in her gentle hands, creating a space of trust and love.